A ground-breaking new demographic study has linked hairstyles with suburbs. 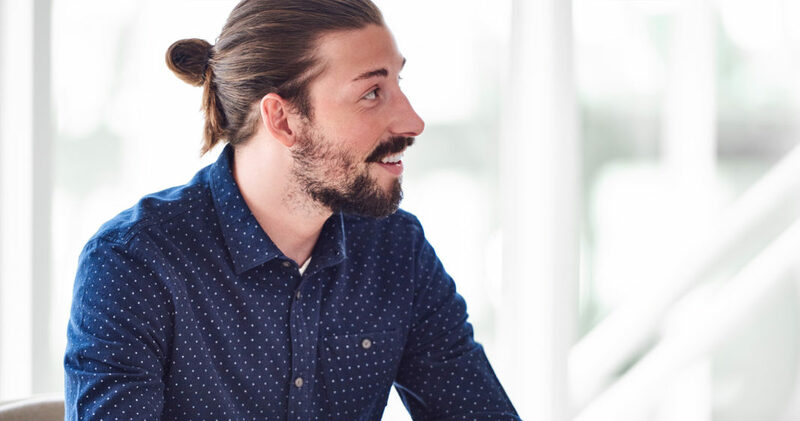 “We were particularly interested in the geographic centralisation of males who regularly wear their hair in a man bun,” says lead researcher Simon Vickers. The report found that of the 46,429 Sydney men who fall in this category, 25,536 of them live in either Bondi or Glebe. “That means almost 55% of Sydney men who regularly have their hair in a man bun live in one of these two suburbs,” says Simon Vickers. Researchers say the man bun is well suited to Bondi’s intersection of surf and fashion cultures, while in Glebe, a focus on sustainability and tolerance makes the man bun a good choice. Researchers will now turn their attention to understanding geographic trends among those who shave lines into the side of their head.